Do you know what significance today's date holds for Tokusatsu fans? 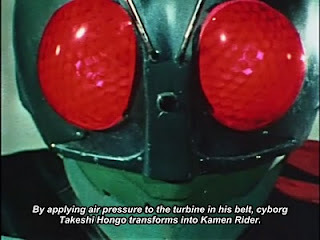 Today, February 19th, is Kunihiro Fujioka's birthday... better known as Hiroshi Fujioka, the original Kamen Rider! And what better way to celebrate the birthday of the man that put the TOH! in Kamen Rider than by unveiling our new series. 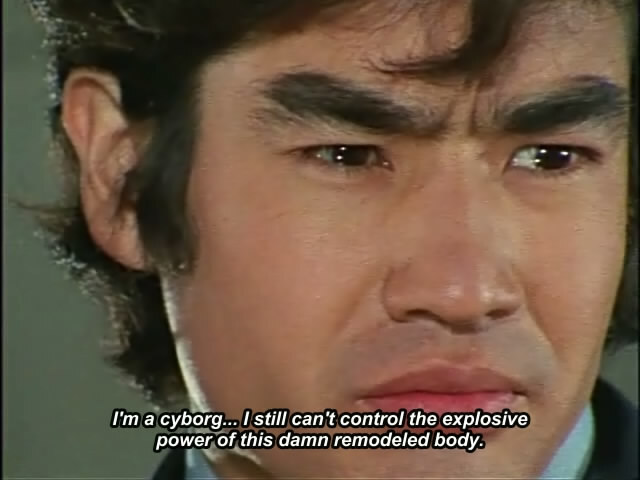 Kamen Rider - Season 1! The series that kicked off the long standing, and much loved franchise is one that has seemingly eluded the attention of sub groups over the years. It has always been my personal favorite. And now, thanks to the help of our two translators UK Windom and Sky79, we can finally bring this show to you. First, we have the first FOUR episodes. These were originally translated and timed by an anonymous poster on 4chan's /m/ forum about a year ago. Apparently, anyway. No information was given. The scripts were posted with little fanfare, and no more were released. When KITSubs first started, I retimed these scripts to work with the DVD quality raws at from Momotaros Raws Revolution, who graciously provides all of our raws. Here, I'd further improved the timing. As well as completely re-edited the scripts from begining to end, added the opening and ending themes, and uploaded them. These aren't V2s of the previous scripts, these are basically brand new, with many changes and corrections. And finally, we have the completely new episode 5, translated from scratch by us, and it will mark the start of our new project! From 5 on, this will be KITsubs second dedicated project. 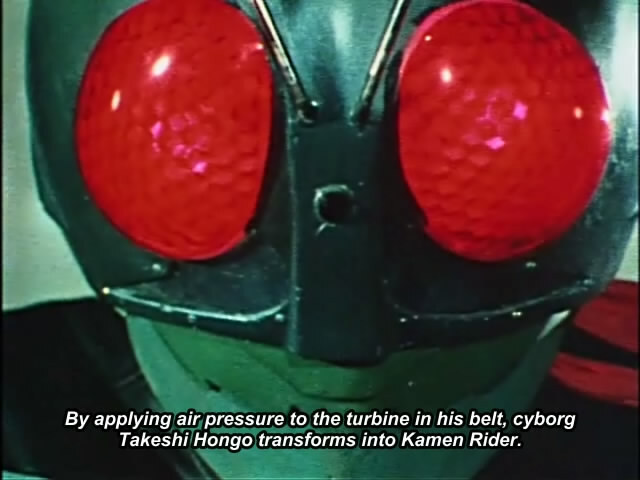 Expect alternating releases of both Kamen Rider and Skyrider in the future! What can I say about this series that hasn't already been said? It's a landmark. It started a phenomenon. But, disregarding all of that, it's a fantastic show. There's a tone to these stories that feels unique to any other tokusatsu show... unique to any Rider show, for that matter! The stunts, the costumes, the music, it all feels perfect for the story being told. And the sharp writing only helps moves those stories along. If you've never watched an older Tokusatsu show before, you're in for a treat. If you've got hesitations about watching a show that's celebrating it's 40th Anniversary this year, then give it a try anyway. You'll be surprised how good these shows hold up! Thank you so much i've wanted to watch this series for ages : ) also would there be any avi encodes of these releases? It's finally happening. Assuming you guys are going to finish Super-1 after finishing Skyrider, there is a team on every single unfinished Kamen Rider series. It brings tears to my eyes. You guys are great. There is no way in my wildest dreams I could have guessed at the true identity of the secret project KITsubs had in the works. Congratulations for springing such an amazing and exciting surprise! You are amazin' guys. Please keep doin'. Completely brilliant news! It's a big undertaking since it has so many episodes, but I think it'll be appreciated a lot. Not only is it obviously significant as the first Rider series, it's just simply a really good series, period. Thanks so much for starting this up! Kudos! Thank you so much for the subs! I've been looking for ever for them. Thanks! Argh THANK YOU!